Saint Blane was born on the Isle of Bute and became a Bishop and Confessor in Scotland among the Picts. He died in 590 AD. Christianity was first practiced in Dunblane by followers of Saint Blane around the year 602 AD. The name Dunblane (Fort of Blane) most likely came to be used by monks who fled from the Isle of Bute with the relics of their beloved saint to escape from the Viking raids. There has been a religious center on the site of the Cathedral since at least the ninth century. 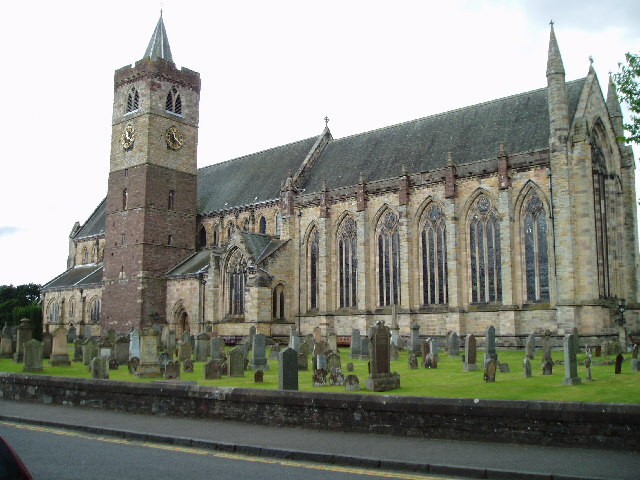 A Catholic bishopric of Dunblane was founded by the Earl of Stathearn about 1155. Clement, the first member of the Dominican Order in Britain and Ireland to become a bishop was chosen to lead the ailing diocese of Dunblane in 1233. When he took over there was probably the tower, part of which still exists today, with an unfinished church attached with no roof. Clement faced a mighty struggle to maintain financial sustainability for his small see. He entered into many negotiations with the powerful religious institutions and secular authorities who had secured control of the revenue of the diocese to which he was entitled. He even had to travel to Rome and visit the Pope where he complained that there were no buildings for his see, he had nowhere to sleep and insufficient revenues. He did succeed in avoiding a move of the bishopric to Inchaffray Abbey and the Pope authorized the Bishops of Glasgow and Dunkeld to visit Dunblane. They agreed Clement should receive a fourth of the tithes of the churches of the diocese for operating revenue and to build a cathedral. Before Clement died in 1258, he was able to build a new edifice with a six-bay, aisle-less chancel, a sacristy, chapter house, Lady Chapel and an eight-bay aisled nave. Over the next three hundred years, the church was gradually given more elaborate furnishings. Many of the fifteenth century choir stalls, with their carved misericords still remain intact. 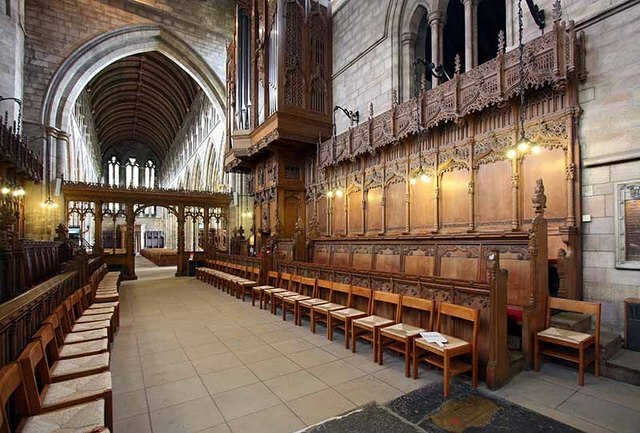 Dunblane Cathedral contains the largest surviving collection of medieval Scottish ecclesiastical woodwork after King’s College Chapel, Aberdeen. The Tower’s height was also increased in the fifteenth century. This can clearly be seen in the change of color in the stonework and in the late Gothic style of the upper story’s windows. After the Protestant Reformation of 1560, the interior was drastically altered and a reformed minister took over the task of public worship. The congregation used the choir only for their services. The nave fell into decay and the roof collapsed in 1622. In 1816, the chancel was restored but by 1886 its capacity was considered insufficient and the entire Cathedral was restored by Sir Rowand Anderson, a leading Scottish architect. The Nave was given a new roof and public worship was reinstated in it in 1893. The choir received new showy stalls between 1912 and 1914. The Cathedral contains the graves of Margaret Drummond of Stobhall, a mistress of King James IV and also her two sisters. It is believed they were all poisoned shortly before James was to marry Margaret Tudor of England. The building is owned by the Crown which is most uncommon and it is looked after by Historic Scotland.